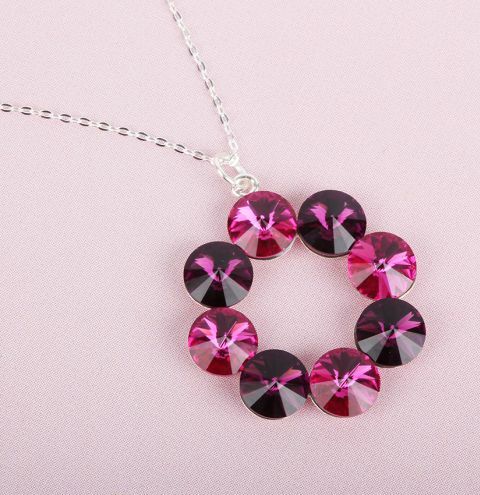 Make a sparkling necklace with Swarovski crystals! Open a jumpring and attach your pendant to the chain. Carefully glue the crystals into place and allow to dry.